Human rights group says soldiers have killed dozens of Palestinians with virtual impunity in West Bank. Israeli forces are using excessive, reckless violence in the occupied West Bank, killing dozens of Palestinians over the past three years in what might constitute a war crime, Amnesty International said. In a report entitled Trigger Happy, the human rights group accused Israel of allowing its soldiers to act with virtual impunity and called for an independent review of the deaths. The Israeli army dismissed the allegations, saying security forces had seen a "substantial increase" in Palestinian violence and Amnesty had revealed a "complete lack of understanding" about the difficulties soldiers faced. According to UN data, 45 Palestinians were killed in the West Bank between 2011 and 2013, including six children. 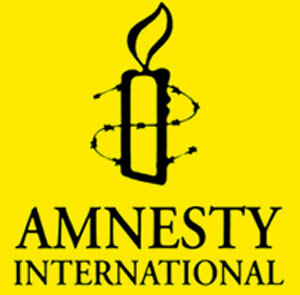 Amnesty said it had documented the deaths of 25 civilians during this period, all but three of whom died last year. "The report presents a body of evidence that shows a harrowing pattern of unlawful killings and unwarranted injuries of Palestinian civilians by Israeli forces in the West Bank," said Philip Luther, the charity's director of the Middle East and north Africa programme. Amnesty said that in none of the cases it reviewed did the Palestinians appear to be posing any imminent threat to life. "In some, there is evidence that they were victims of wilful killings, which would amount to war crimes," it said. After a three-year hiatus Israelis and Palestinians resumed direct peace talks last July, which the Palestinians hope will give them an independent state on territory seized by Israel in the 1967 war, including the West Bank. Although their decades-old conflict has become a low-intensity confrontation, violence still occurs regularly, with Palestinians accounting for the vast majority of casualties. The 87-page report, published on Thursday, focused only on violence in the West Bank, not the Gaza Strip. It highlighted a number of the deaths, including that of Lubna Hanash, a 21-year-old who was shot in the head on 23 January 2013 as she left an agricultural college near the flashpoint city of Hebron. Amnesty quoted witnesses saying a soldier opened fire 100 metres from where Hanash was standing. A relative standing alongside her was shot in the hand. Neither had been taking part in any protest. A few days earlier, a 16-year-old schoolboy, Samir Awad, was shot three times, including in the back of the head, after staging a protest near the Israeli separation barrier that divides his village from its historical farmlands. And Waji al-Ramahi, 15, was shot in the back from a distance of 200 metres in December near the Jalazun refugee camp, Amnesty said. An Israeli army statement responding to the report did not refer to any specific incidents, but said 2013 had seen a sharp increase in rock-hurling incidents, which had injured 132 Israeli civilians and military personnel. "Where feasible the IDF [Israel Defence Forces] contains this life-threatening violence using riot dispersal means," it said. "Only once these tools have been exhausted and human life and safety remains under threat, is the use of precision munition authorised." The IDF said the report had compiled "carefully selected, unverifiable and often contradictory accounts from clearly politically motivated individuals, which it then reports as unquestioned facts". Besides the numerous deaths, Amnesty said at least 261 Palestinians, including 67 children, were seriously injured by live ammunition fired by Israeli forces in the West Bank over the past three years. During this period, just one Israeli soldier was convicted of wrongfully causing the death of a Palestinian � an unnamed staff sergeant who shot dead a man trying to enter Israel illegally in search of a job. The soldier received a one-year prison sentence, with five months suspended, and was allowed to stay in the army, albeit at a lower rank, Amnesty said. "The current Israeli system has proved woefully inadequate," Luther said. "A strong message must be sent to Israeli soldiers and police officers that abuses will not go unpunished." The IDF said it held itself to the highest of professional standards, adding that when there was suspicion of wrongdoing, it investigated and took action where appropriate".